De Vargas made his movie debut as a member of a gang of teenage hoodlums in Richard Brooks’ then-controversial juvenile delinquency drama Blackboard Jungle (1955). It was an uncredited role and one without any dialogue, but it did afford De Vargas plenty of screen time with which he could demonstrate his knack for projecting menace. 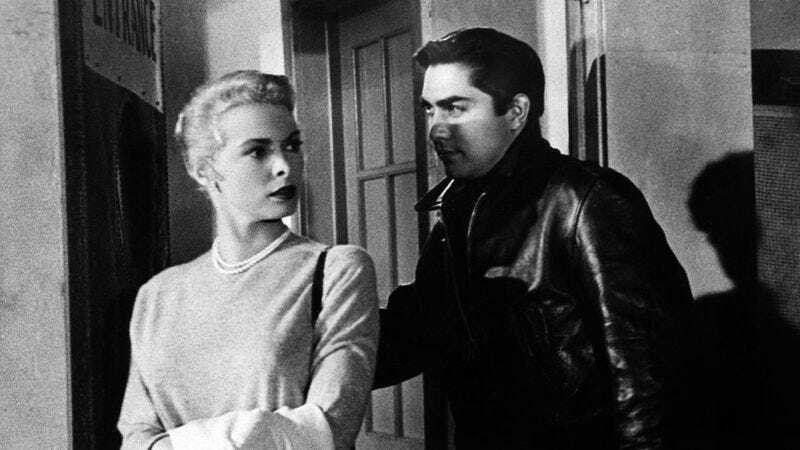 Three years later, he put that talent to good use in a classic film—Orson Welles’ Touch Of Evil, in which De Vargas played Pancho, the leader of the gang that terrorizes Janet Leigh. His second-biggest movie role was in Howard Hawks’ Hatari! (1962), in which he played a member of John Wayne’s team of animal catchers in Africa. De Vargas also played one of Eli Wallach’s henchmen in The Magnificent Seven (1960), a judge in William Friedkin’s To Live And Die In L.A. (1985), and a doctor in the feverish Jim Thompson adaptation This World, Then The Fireworks (1997), in addition to guest appearances on scores of TV series. His last performance came two years ago, on the TV series Zorro. Reflecting on her father’s cultural legacy, De Vargas’ daughter told THR that she was “pleasantly surprised to find her father’s character depicted on a neighborhood mural” in an area where parts of Touch Of Evil were shot.